No politics in Auroville. This must be repeated and understood; it is Auroville’s raison d’etre, and while waiting for it to be realized in the world, it must exist here first. Each State must express its particular relationship with nature, its culture, its industry and must forget all politics. Active pavilion groups include Africa House, the House of the Americas, Asian Unity, the European Plaza, the Mediterranean Space and the Pavilions of Scandinavia, Britain, Canada, France, Germany, Hungary, Italy, India, Japan, Kazakhstan, Korea, The Philippines, Russia, Spain, Slovenia, Switzerland, USA as well as the Pavilion of Chinese Culture and the Pavilion of Tibetan Culture. Bharat Nivas, The Indian Pavilion, has almost completed its campus. 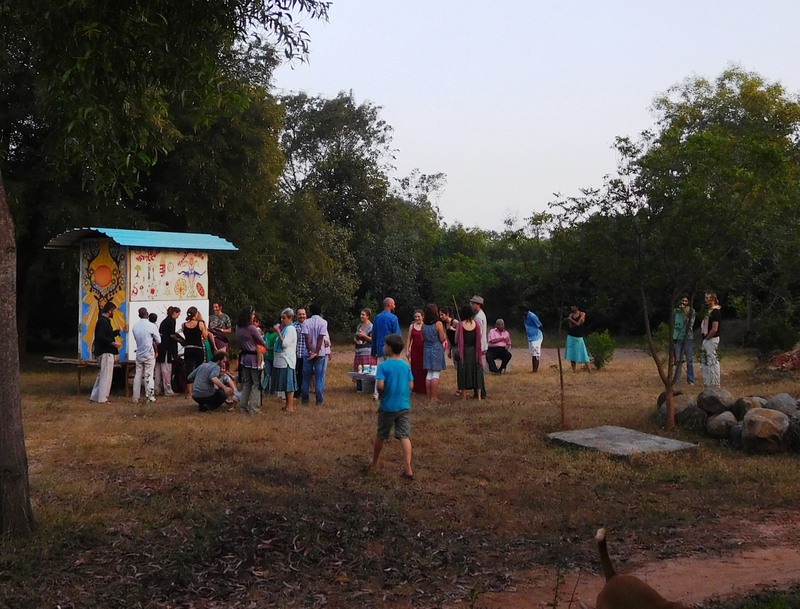 The facilities in this pavilion are being used by the entire Auroville community. Tibetan Cultural Pavilion was inaugurated by the Dalai Lama in 2009. The USA Pavilion Group have built an International Students Center and several other Pavilion Groups are focusing on the development of student facilities in order to respond to the increasing demand of students and volunteers (world wide) from all over the world who come to experience Auroville and study and learn with us. Other pavilion groups have laid foundation stones and created concepts for their projects, or installed symbols like the Canadian Inuksuk, representing their country. The first building of Africa House is coming up fast. Construction of French Pavilion is underway. The Hungarian Pavilion group has constructed the Hungarian Caravan, which will serve as a moving venue for their events and activities.